As a practicing obstetrician in the early part of my medical career, I can tell you that delivering babies at 4 a.m. is not conducive to a good sleep pattern. Lack of sleep is called Sleep Deprivation, and can be an acute or chronic condition. In a survival situation, you can imagine the many reasons why you might suffer from not enough sleep: Unfamiliar environments, responsibilities regarding tactical defense, fatigue from strenuous activities, and just plain old stress will combine to greatly increase the incidence of this medical issue. What are the Dangers of Sleep Deprivation? Sleep Deprivation can significantly impair your brain’s function. There are significant negative effects on alertness and performance which suggest decreases in brain activity. Specifically, the thalamus, involved in alertness and attention and the prefrontal cortex, an area that controls higher-order thought processes. You may become incapable of putting events into the proper perspective and taking appropriate action. The malfunction of these parts of your brain make for a poor addition to a survival group. Sleep Deprivation is thought to have been involved in the deaths of various celebrities, such as Heath Ledger and Anna Nicole Smith (another poor addition to a survival group, rest her soul). It stands to reason that many car crashes and industrial accidents are, at least in part, caused by lack of sleep. Indeed, the National Highway Traffic Safety Administration confirms that over 100,000 serious traffic accidents a year are caused by sleeping at the wheel. The British Medical Journal equates 17-21 hours without sleep as the equivalent of a blood alcohol level of .05 – .08%. When you don’t get enough sleep, healing times may increase and the increased amount of muscle activity (from not resting) leads to the equivalent of physical overexertion. In a 2004 study that evaluated the performance of medical residents, those getting less than 4 hours of sleep made twice the medical errors that residents who slept 7-8 hours a night. As I can tell you from personal experience, very few residents have the luxury of 7-8 hours of sleep on a regular basis. This is especially dangerous; chronically sleep-deprived individuals often don’t consider themselves as functioning at an impaired level. Actual brain damage has been documented in a number of studies, the most prominent being the one performed by the University of California in 2002. Using animal subjects, it showed that non-rapid eye movement sleep (deep sleep) is necessary for turning off brain chemicals called “neurotransmitters” and allowing their receptors to replenish. 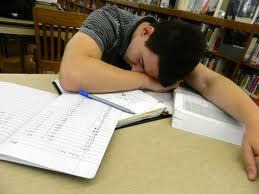 The lack of deep sleep impairs mood and decreases learning ability. Deep sleep is also important to allow natural enzymes to repair damage caused by “free radicals”, molecules responsible for aging and tissue damage. The study also found that lack of rapid eye movement sleep (dreaming) worsens depression. Depressed patients have depleted amounts of neurotransmitters in the brain, and Sleep Deprivation worsens this condition. Now, don’t ask me how they found depressed animal subjects, although I guess that anything in a cage has got to be depressed. In my humble opinion, these studies on animals are tantamount to a form of torture; indeed, sleep deprivation is a common method of interrogation of political prisoners. In addition, many antidepressants and pain meds have sedative effects. All of the aforementioned medications should be used, if at all, with the utmost caution, due to the potential for addiction and abuse (some more than others). Sleeping pills should never be used by those with airway obstruction issues like sleep apnea. It may prevent them from waking up to breathe. CPAP products, which keep the airway open by air pressure, are more appropriate in these patients. Unfortunately, these will probably unavailable in an austere environment. Over the counter sleep aids include the old standby Diphenhydramine, found in medications like Benadryl and Sominex. Usually, this medicine is used for allergic reactions; the 50 mg. dose is more effective in inducing sleep, but sometimes leads to drowsiness the next day and other side effects. Another antihistamine with sedative effects is Doxylamine, also known as Unisom. Other products like Melatonin may be helpful, but work best in those with documented low levels of the chemical naturally. Be aware that many drugs taken by adults will have the opposite effect on children. Instead of becoming sleepy, they may become agitated. Yoga, massage, meditation, sound machines, and even acupuncture are also alternative methods of dealing with Sleep Deprivation. Consider making some lifestyle changes now, so that you will be rested and prepared for whatever these uncertain times send your way.